I’m thrilled to be honored by NCTE with the 2016 Intellectual Freedom Award. It means the world to me. Below is the official press release. 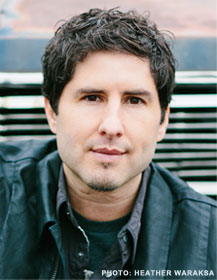 Urbana, Illinois – NCTE honors Matt de la Peña for his courage in standing up for intellectual freedom with the NCTE National Intellectual Freedom Award, given for de la Peña’s efforts to fight censorship not only through his words but also through his actions. He will receive the award at the NCTE Annual Convention in Atlanta, Georgia, in November. De la Peña, a Newbery Medal-winning author of six young adult novels (including Mexican WhiteBoy, The Living, and The Hunted) and two picture books (A Nation’s Hope and Last Stop on Market Street), has worked to ensure that children of all ages have access to books, especially books that are reflections of themselves. In 2012, his novel Mexican WhiteBoy was banned from the Tucson, Arizona, schools as a result of the termination of the Mexican American Studies programs. Scheduled to speak to a group of high school students in Tucson shortly after, Matt donated his speaking fee to buy copies of Mexican WhiteBoy, which he gave to the students. “I want to give back what was taken away,” noted de la Peña. Mexican WhiteBoy’s awards include ALA-YALSA Best Books for Young Adults (Top Ten Pick), a 2009 Notable Book for a Global Society, a Junior Library Guild Selection, and a place on the 2008 Bulletin for the Center for Children’s Books Blue Ribbon List. We applaud and honor Matt de la Peña not only for creating books that offer students a “secret place to feel” but also for standing up for all students’ right to read! Courtney Kincaid of North Richland Hills Public Library, North Richland Hills, Texas, will receive an Honorable Mention National Intellectual Freedom Award this year. 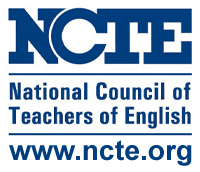 The National Council of Teachers of English (http://www.ncte.org), with 25,000 individual and institutional members worldwide, is the nation’s oldest literacy organization. With the expertise of its members, NCTE has led the nation in its most important decisions and trajectories around preK–16+ literacy/writing/literature thinking. NCTE is dedicated to improving the teaching and learning of English and the language arts at all levels of education.